F&B COMPANY s.r.o. 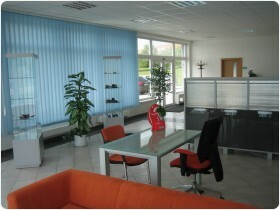 is a progressive company, which was founded in 1997 with headquarters in Olomouc. The company’s activities are the production, installation and repair of electronic and telecommunication facilities whilst providing technical services for protecting property and people. In the beginning the company specialised mostly in electronic vehicle security systems and managed to gain exclusivity to distribute car alarms in the Czech Republic for the well-known Italian producer COBRA AT after just one year in business. 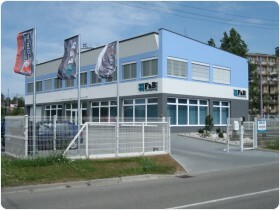 After many years of successful business on the Czech market, the company experienced another important step, which significantly aided its development. It involved the decision to commence the development and production of our own product- the GSM communication module, under the trademark of PATRIOT. In the first development stage, the module was intended for providing alarm warnings and other information through the GSM network. The success, which the product enjoyed on the market along with customer satisfaction led to F&B COMPANY s.r.o. further developing the current system by adding a GPS, which enables the determination of the precise location of the vehicle along with the precise recording of its routes. We have been offering Connex, a satellite system for searching for stolen vehicles throughout the whole of Europe since 2003. This has, so far, been the last product to have been added to our portfolio. Thanks to its simplicity, affordable price and unique function, its popularity has been growing. 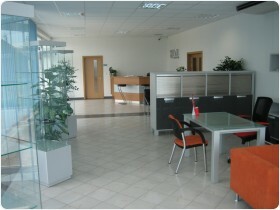 A significant turning point in the history of the company came in 2006 when the new headquarters were built. Through the integration of the administrative part, a modern business and service centre, we were able to improve the quality of the services provided and represent the company in a suitable manner. F&B COMPANY s.r.o. is also a holder of the ISO 9001 quality certificate. This system of quality clarifies our duty to provide quality products and ensure customer satisfaction. Through the quality of specialist personnel, technical equipment and, above all, experience, we guarantee the provision of professional support service and consultation.